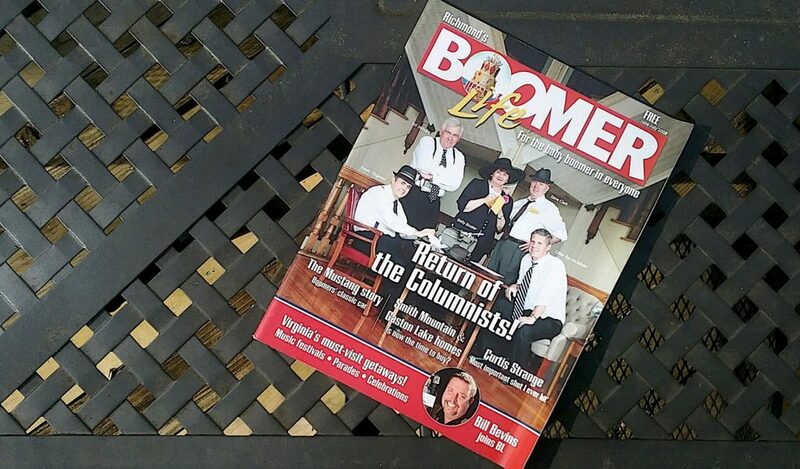 It’s the Ides of March, which may be a fitting day to announce here that I’m leaving Boomer magazine after 11 years — eight as editor, three as columnist only. Nothing wrong with Boomer, obviously. (We won’t enumerate all that’s wrong with me.) But the book business that was supposed to be a sidelight has exploded. For instance, I: 1) just signed a contract yesterday with a writer to publish her book this fall, 2) will sign a contract with a novelist next month to publish his, 3) am redesigning another writer’s children’s book this week for reprint, and 4) have to update one of my own books for a second edition. I love it all but something’s had to give. 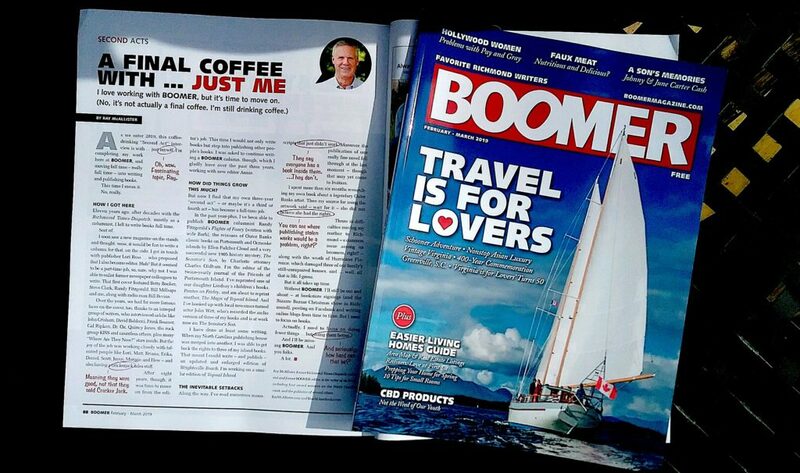 Meanwhile here’s the start of of my final Boomer column, including a few photos that couldn’t fit in the magazine. It finishes in Boomer, so please jump on over. Stuff I’ve been doing the last year or so, including writing, editing, and publishing. 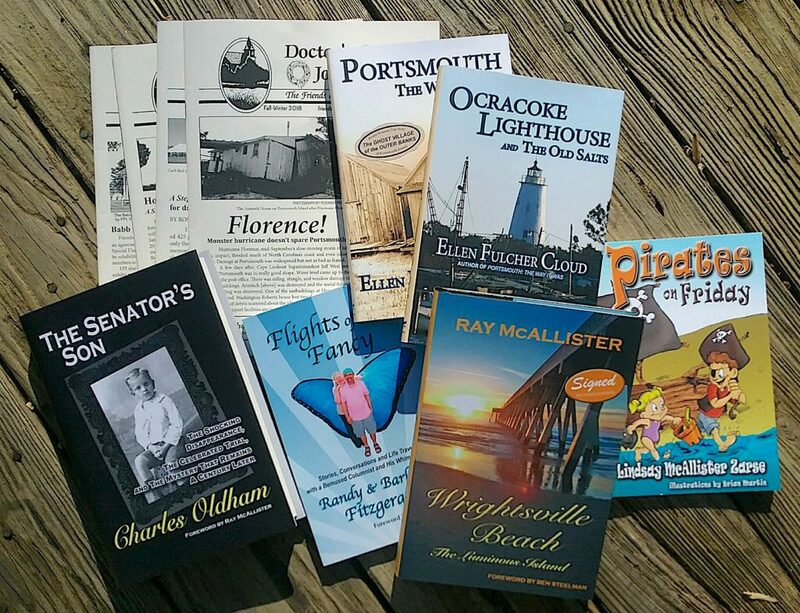 Some of these completed projects are at Beach Glass Books, some are at Ray McAllister, and Doctor’s Creek Journal you can subscribe to for a ridiculously low price through a Friends of Portsmouth Island membership. Other stuff is rattling around in my head. As we enter 2019, this coffee-drinking “Second Act” interview is with … just myself. I’m completing my work here at Boomer, and moving full time – really full time – into writing and publishing books. Eleven years ago, after decades with the Richmond Times-Dispatch, mostly as a columnist, I left to write books full time. Sort of. . . . So how did Boomer and I get hooked up? My first issue as editor, in 2008, paying homage to old newsrooms. So many Times-Dispatch writers (Randy Fitzgerald, Bill Millsaps, Betty Booker, Steve Clark, myself, with many more to follow — and radio man Bill Bevins at the bottom of the page) drew a lot of attention, including ONE BLOG that suggested this was “where old columnists go to die now.” I’m happy to confirm everyone on the cover is still alive … right, guys?